In a Nutshell: Traditionally, consumers with bad or no credit histories were relegated to high-fee loans or credit cards that provided minimal help to their credit-building journey. Those substandard options are changing as Fintech companies leverage advances in technology to create consumer products with lower fees and greater impact on credit scores. A Credit Builder account through Self Lender includes an installment loan for between $500 and $1,700. The money from the loan is placed in a certificate of deposit (CD) in the customer’s name, and monthly loan payments are reported to three credit bureaus. Once the loan is paid off, in 12 to 24 months, the CD is closed and a check for the full amount, including interest earned, is sent to the customer. Average credit score gains from the service have ranged between 40 and 100+ points. Having bad credit, or no credit at all, can feel like being lost in a jungle with no way out. Most prime lenders won’t consider an applicant with a sub-600 credit score, and many subprime lenders offer terms and rates that are scarier than any predator in that jungle. The lack of options creates a cycle for these consumers — without credit, they can’t build a score. And the credit available to them keeps them stuck with loan interest rates that can take years to pay off. But technology is creating new ways for startup businesses to offer financial products that break from those offered by traditional banks and credit unions. This new age of entrepreneurship focuses on ways to help people while creating a profit, instead of the other way around. An early entry into this field, Self Lender has helped more than 80,000 customers build credit and save a combined $65 million along the way. The company’s Credit Builder account offers a secured installment loan to consumers with credit scores below 600. The loan money is used to open a Certificate of Deposit (CD) in the borrower’s name, which he or she pays down over 12-to-24 months. Once the loan is paid off, Self Lenders cashes in the CD and sends the customer the proceeds, including interest. Along the way, Self Lender reports the payment history of the loan to all three credit bureaus, allowing the customer to benefit from a credit boost while creating a savings nest egg. Self Lender CEO James Garvey says the company has a 95% applicant approval rate. To be approved, customers must have no fraud on their accounts, nor should they have had a forced shutdown of a checking or savings account within the last six months. Just as Self Lender will share information of timely payments with the credit bureaus, missed payments or accounts that go into default are subject to negative credit reporting. Garvey also said customers who come to Self Lender with no credit score at all could earn a score between 650 and 670 within six to nine months of using the Credit Builder account. Customers who need credit repair and have scores that fall below 600 can see, on average, a gain of 40 points in that same period — but the amount of gain each customer experiences varies based on their credit and payment history. Credit Builder account holders also receive free credit monitoring for as long as their account is active. Victor Wynn is one of the thousands of Self Lender clients who benefited from the fresh start a Credit Builder account provides. After being discharged from a bankruptcy in 2015, Wynn struggled to find adequate solutions to rebuild his credit score — which at the time lagged between 510 and 520. After extensive web searches, he found several secured installment loans offered through credit unions located nowhere near him. He started his financial mission with two credit-building credit cards around the same time he found Self Lender. Self Lender’s transparent pricing structure shows consumers exactly what they can expect when signing up for an account. Startup fees range between $9 and $15 depending on the account. The company’s most popular account, which funds a $545 CD, charges $15 at signup and $48 per month. After 12 months, a total of $576 in payments yields the customer a check for $545 plus earned interest — for a total of $46 in fees through the life of the account. Loans can be established in amounts of $525, $545, $1,000, or $1,700. Accounts typically have 12-month terms, with a 24-month option available for the $525 account, which requires a low $25 monthly payment. Monthly payments can be made on the company’s website from a linked bank account or debit card. Automatic payments can be arranged, or customers can manually make payments through their online account portal. A smartphone application for iOS and Android devices is scheduled for release by the end of March 2018. The addition of the app will make signing up and maintaining a Self Lender account easier, as Garvey says that 80% of the company’s customers already use their phones to apply for accounts. 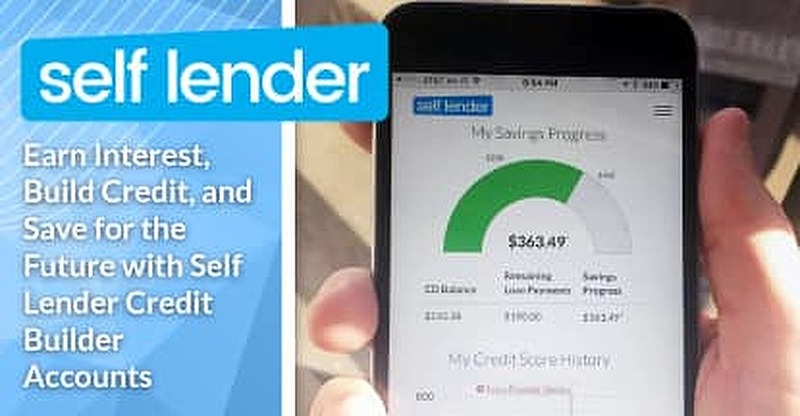 More than 80,000 customers are already experiencing the impact of an improved credit score thanks to the Credit Builder account at Self Lender. Garvey said plans are in place to roll out future products so the company can continue with consumers along their financial journey. 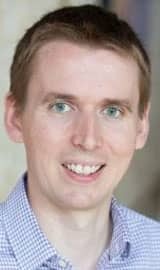 James Garvey is the CEO of Self Lender. Those products include a secured credit card and savings account set to launch later in 2018. Self Lender’s secured installment loans help consumers with a sub-600 credit score achieve gains with monthly on-time loan payments that are reported to the three credit bureaus. After a 12- or 24-month loan is paid off, the customer is sent a check with the proceeds from the CD plus any applicable interest earned. For Victor Wynn, Self Lender’s services helped him at a time when he had great motivation to improve his financial situation, but few options to make it happen. In a way, the company cleared the jungle he was caught in and helped him once again see the sunshine.